There’s nothing more fun than serving food inside other food—think of bread bowls for soup or spaghetti squash boats. But many of these playful serving styles involve tons of carbs. Here, we’ve ditched the traditional shredded potato cups to make vibrant, nutritious zucchini nests. Because you can cook six at a time, they make a great brunch dish when you have a big group over. <h4><p style="color: rgba(20, 117, 135, 1)">The Big Cheese</p></h4> Although many of us grew up with round shaker jars of “grated Parmesan” in the house, it can’t hold a candle to the real deal. True Parmigiano-Reggiano cheese is only made in the region around Parma, Italy. It’s aged for at least a year to develop its characteristic salty, savory flavor and slight crystalline graininess. Outside Europe, we tend to refer to cheese made in this classic style as “Parmesan.” But only Parmigiano-Reggiano made in the traditional areas gets the full namel. Wherever yours comes from, choose real shredded cheese rather than the granulated kind. Parmesan sold in the shaker is often loaded with preservatives. In contrast, real Parm is full of nutrients like protein, Vitamin A, and calcium. Just one ounce of Parmesan gives you 35% of your daily dose of this essential bone-building mineral! <h4><p style="color: rgba(20, 117, 135, 1)">Super Squash</p></h4> Zucchini is a keto staple for a reason. Mild and versatile, it can stand in for carbs in a wide range of dishes. Super-high in fiber, zucchini makes you feel fuller for longer. 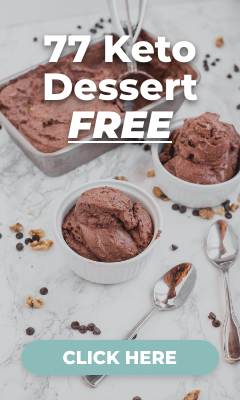 It reduces carb cravings, helping to regulate blood sugar levels and increase insulin sensitivity. Besides lowering your risk of diabetes, zucchini also helps support thyroid and adrenal function—especially if you leave the dark green peels on. Proper adrenal function helps you burn more fat, respond to stress better, and improve your heart health. All the more reason to eat your veggies! 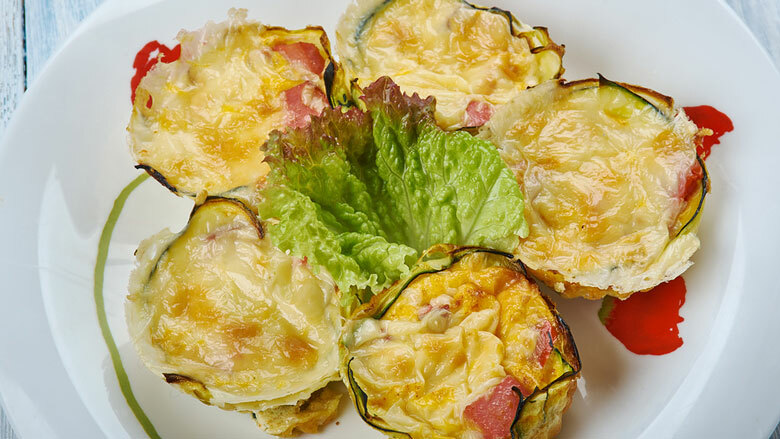 <h4><p style="color: rgba(20, 117, 135, 1)">Baked Zucchini Egg Nests</p></h4> <h5>Prep Time: 10 mins | Cooking Time: 25 mins| Serves: 6</h5> <h5><p style="color: rgba(20, 117, 135, 1)">Ingredients:</p></h5> * 2 large zucchini, spiralized * 7 large eggs * ½ cup parmesan cheese, shredded * ½ teaspoon garlic powder * ½ teaspoon Italian herb blend * ¼ teaspoon salt * ¼ teaspoon black pepper <h5><p style="color: rgba(20, 117, 135, 1)">Instructions:</p></h5> 1. Preheat oven to 400°F. Lightly grease the interior of six medium ramekins or 6 oversized muffin cups. 2. Using paper towels or a tea towel, gently squeeze as much liquid as you can from the spiralized zucchini—but be sure not to crush the strands. 3. Crack 1 egg into a large bowl. Whisk in the Parmesan cheese, garlic powder, dried herbs, salt, and pepper. 4. Toss the zucchini in the egg mixture to coat. 5. Divide the zucchini into approximately half-cup portions and shape into nests in each ramekin. The ramekins should be about 2/3 full with a well in the center. Make sure the zucchini fully covers the bottom and comes up high on the sides, as it will shrink as it cooks. 6. Bake the nests for about 15 minutes or until zucchini is slightly tender when poked with a fork. 7. Gently crack 1 egg into each nest. 8. Bake until eggs are set and zucchini is slightly browned on the edges, about 7-10 minutes. Season to taste with salt, pepper, and paprika and garnish with chopped scallions to serve.